Rolling Stone's loss is Pierre Omidyar's gain. Matt Taibbi is joining First Look Media, the same organization where Glenn Greenwald, Jeremy Scahill, and Laura Poitras are on the masthead at The Intercept-- but Taibbi will lead his own publication focused on financial and political corruption. The new magazine does not yet have a name or a precise launch date. First Look Media, the news organization created by Pierre Omidyar, today announced that acclaimed journalist and New York Times best-selling author Matt Taibbi will launch First Look’s second digital magazine. Taibbi will help assemble a top-notch team of journalists and bring his trademark combination of reporting, analysis, humor and outrage to the ongoing financial crisis – and to the political machinery that makes it possible. The magazine will launch later this year. Taibbi comes to First Look from Rolling Stone, where he served as a contributing editor for the past 10 years. During his tenure, he built a large and devoted following that has grown to rely on his in-depth and irreverent reporting on Wall Street and Washington. Whether busting Goldman Sachs for market manipulation or revealing the hidden roots of the student loan crisis, Taibbi has exposed and explained the most complicated financial scandals of the day with a fresh and compelling approach to journalism that has enraged and inspired millions of readers. 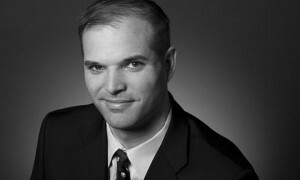 While at Rolling Stone, Taibbi won a National Magazine Award for his reporting on the 2008 presidential election, and was a finalist for his coverage of Occupy Wall Street. The author of two New York Times bestsellers, he earlier worked as reporter for the Moscow Times, an English-language expatriate newspaper, and co-founded The eXile, a bi-weekly newspaper based in Moscow. The paper became infamous for its satirical wit, as well as for hard-nosed reporting of corruption in both the Russian government and the American aid community. The paper was the only publication to correctly predict the 1998 Russian financial crisis. Taibbi will be based in New York City. The name and launch date of his digital magazine will be announced in the coming months. First Look Media's first online publication, The Intercept, led by Glenn Greenwald, Laura Poitras, and Jeremy Scahill, launched on February 10. Boing Boing editor/partner and tech culture journalist Xeni Jardin hosts and produces Boing Boing's in-flight TV channel on Virgin America airlines (#10 on the dial), and writes about living with breast cancer. Diagnosed in 2011. @xeni on Twitter. email: xeni@boingboing.net.